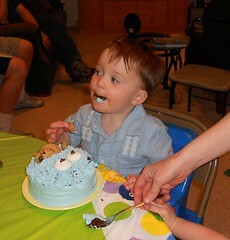 Owen had an excellent 2nd Birthday. 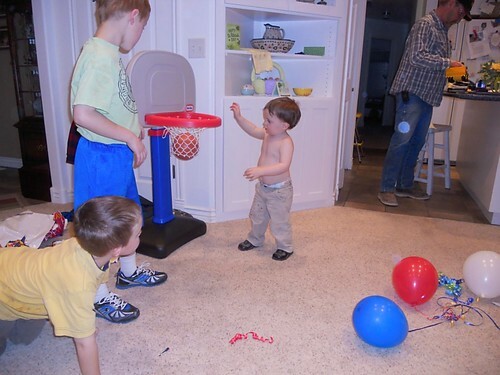 He hammed it up for the cousins and had a wonderfully fun time partying at Grandma and Grandpa McKenney’s. (Thanks for being the host Mom and Dad). 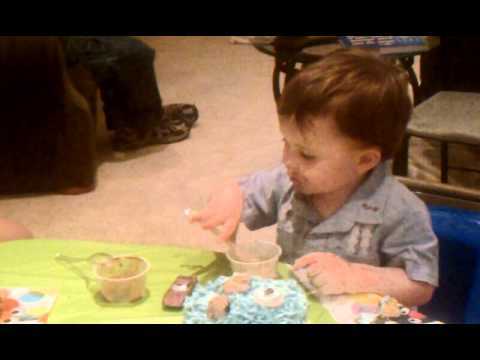 He new exactly what to do when I placed the cake in front of him. 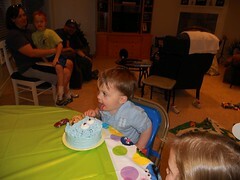 We sang and he blew out the candles right on cue. 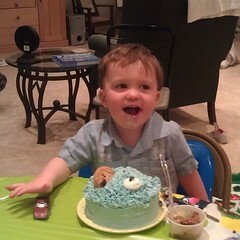 Then he proceeded to giggle and snicker and gobble up his cookie monster cake. It was pure joy watching him. 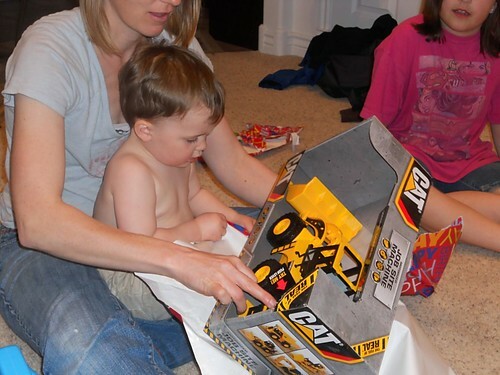 He had a great time opening his gifts and he was thrilled with each one. Wanting to stop and play before opening the next. Oh! 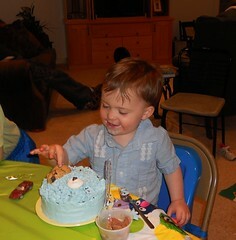 I am so in love with this kid! Welcome to 2 Owen! 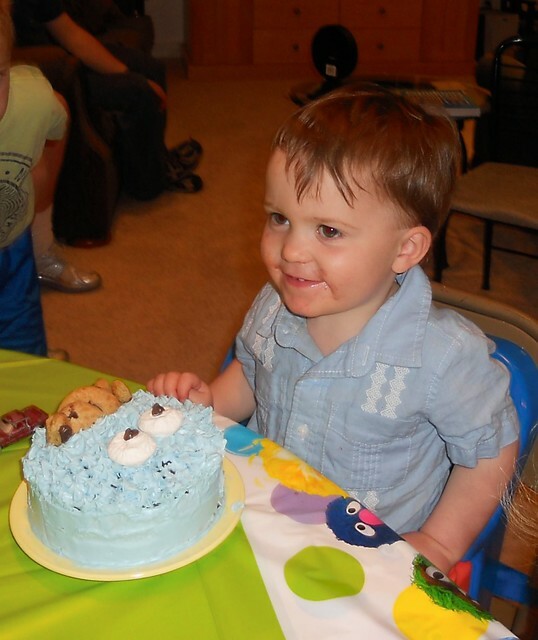 Happy 2nd Birthday Owen! Looks like you had a wonderful party.